We made a donation to one of our local elementary schools to help fund the cost of field trips for students whose parents are unable to cover the entire cost of the trip. We made a donation to Fayette Senior Services’ Project Love campaign. This is our 5th year supporting this effort. Funds raised by this campaign augment FSS’s Meals on Wheels program by enabling them to provide holiday meals for over 250 recipients. Funds are also used to provide doctor-prescribed dietary supplements and “shelf meals” (meals that do not need refrigeration). Thanks to everyone who came out today to help Grace Evangelical Church and the Real Life Center conduct the monthly Mobile Food Pantry on the grounds of Grace Evangelical. Volunteers packed and distributed bags of grocery items provided by the Atlanta Food Bank. We helped serve 217 needy Fayette County families. 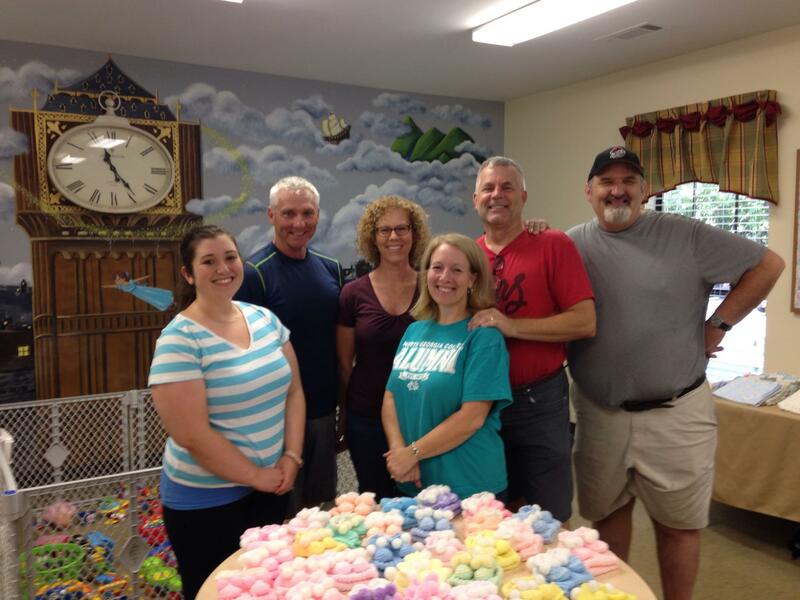 One of our small groups served Saturday morning at the PRC. 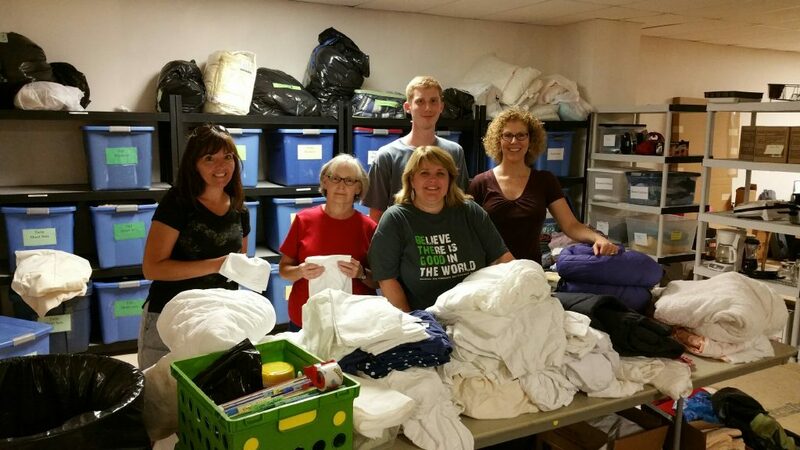 The group helped with their summer-to-winter clothing change over, removing summer clothing from their clothing closet, boxing them up for storage, and replacing them with winter clothing. Thanks to everyone who came out today to help Grace Evangelical Church and the Real Life Center conduct the monthly Mobile Food Pantry on the grounds of Grace Evangelical. Volunteers packed and distributed bags of grocery items provided by the Atlanta Food Bank. We helped serve 154 needy Fayette County families. One of our small groups spent Wednesday evening serving at the Real Life Center . The group sorted housewares and linens for storage and eventual distribution to RLC clients, as well as washed vehicles. 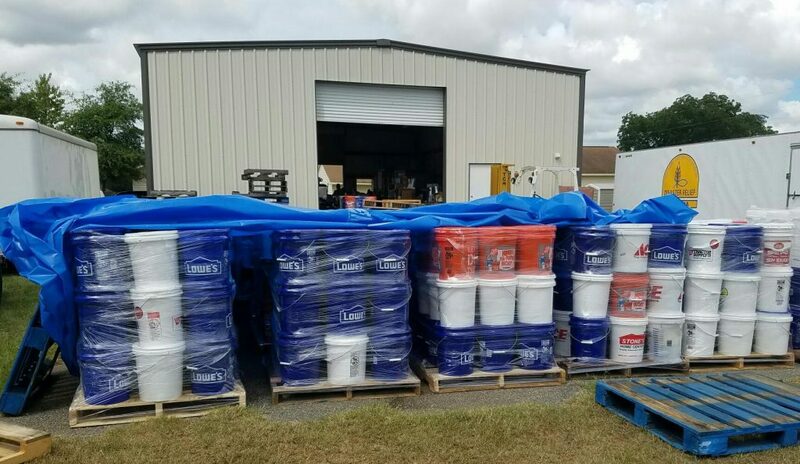 Thank you to everyone who took the time to assemble buckets of cleaning supplies for individuals and families affected by the flooding in Louisiana. We were blessed to partner with the Real Life Center, Fayette Samaritans, and St. Vincent de Paul to pay a single mother’s past due rent in order to prevent an eviction. We were pleased to be able to sponsor the Real Life Center’s first annual “Harvest for Hope” Gala fundraiser happening next month. Not only is the RLC our biggest local partner in missions, but it is also a huge asset to our community. This was a great opportunity to show our continued support, but more importantly, to help the RLC jumpstart some new initiatives to help families, such as career assistance, life coaching, and physical wellness programs. Thanks to everyone who came out today to help Grace Evangelical Church and the Real Life Center conduct the monthly Mobile Food Pantry on the grounds of Grace Evangelical. Volunteers packed and distributed bags of grocery items provided by the Atlanta Food Bank. We helped serve 159 needy Fayette County families.